The Most. Rev. 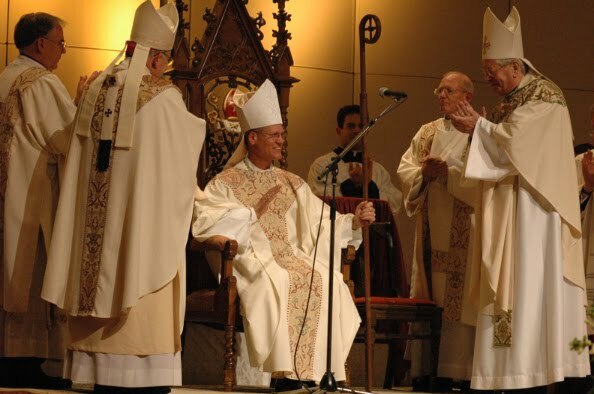 Charles Chaput of Denver was the principal ordaining bishop. Most Rev. Daniel Buechlein of Indy and the Most Rev. David Ricken of Green Bay were the other ordaining bishops. His Eminence Roger Cardinal Mahoney of LA was there, along with the Most Rev. Pietro Sambi, Apostolic Nuncia to the US. There were 17 bishops present, I believe. Let’s pray for Bishop Etienne! This entry was posted in Catholic News, Reflections. Bookmark the permalink. ← Who took the Mary out of Christmas?